My cell phone signal always cuts out on me in certain areas of my home. This would be a great thing to have to stop that from happening. Thanks again for running this contest! I’d have to say the living room. Thanks. is the only place my cell phone works, if I’m pointed North! We live in a rural locale and reception can be spotty at times…I use the phone all over the house but the bedroom seems to have the crummiest reception. I try to use the phone there with limited success. Tired of holding my head in just the right position to work! Use in limited spots of den or at kitchen/BR window…and EVEN have to step out on back steps. We could use this anywhere in our home. We hardly have any cell phone signal in our house. I live out in the “boonies” and could really use this to help with cell phone coverage!! Sounds great! On the porch, because our service is not good. Could really use an item as described! Most calls are made/received in the living room though the bedroom is a close second. That said I could REALLY use a signal booster! I would love a zboost to bring better reception. Home is where we have the most dropped calls. How frustrating. Our kitchen is where I use the phone the most. Frustrating when the calls are dropped. I WOULD LOVE TO BE ABLE TO TALK ON MY PHONE! I try to use my phone in the living room and bedroom but I live on the 4th floor in an apartment building and can’t get a signal! I can always us an extra zBoost. we use ours most in the tv room. the signal gets weak sometimes in the bedrom in the back of our house. this would be good for that. In what room do you use your cell phone most? In the bathroom! I’m in Fairbanks, Alaska where the cell reception fluctuates from street to street. This booster would save me from the multiple headaches of dropped calls I have on a daily basis. It’s no fun driving to the lake nearby to have a phone conversation (where I can get full 3G signal) when it’s -40 outside! I’d love to have one of these! Facebook entry - as I said before, the bathroom. It seems to boost my signal for some reason. I either need to start doling out extra for a land line (how 18th century!) or get a booster! Hook me up, fine folks!!! I use my cell phone mostly in my living room. I’d love to use my cell phone at my desk in my studio, but it’s difficult! This would be perfect! My sister gets little to no reception for her cell phone at home. I would love to win this for her birthday! 99.9% of the time, I’m using my cell phone in the den. My reception is totally awful here, yet I’m under a contract, and pretty much a prisoner of the system. My problem is there is a “dead zone” nearby where there is no tower, so I always have poor reception in every room of the house. Here’s hoping I can win this - I hope it delivers as well as advertised. I sure could use it! I wander all over the house when on the phone except the basement where reception is terrible. I use my cell phone in the kitchen and family room. In the living room with the garage/workshop a very close second! I use it the most in the bedroom. In the sitting room where my comfy chair is! I’m usually in the kitchen cooking up supper. If my phone rings I have to take it outside to talk because our reception out here isn’t very good. for some reason my living room is on a slab and I can’t get reception for the life of me. This would really come in handy. In my office! No reception! I use it in my computer room and bedroom the most. But it is hard to get signal in almost every room due to the trees surrounding the property. I use my cell phone most in the kitchen. 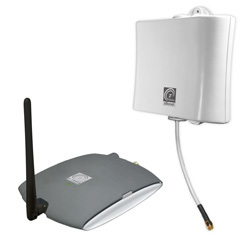 Thank you for the opportunity to enter the zBoost Metro Cell Phone Signal Booster Giveaway! I did not know something like this existed…this is great and is much needed…I am always dropping calls while in my apartment. I use my cell phone most in my kitchen / living room area. It’s a big open area, and where I spend most of my time.